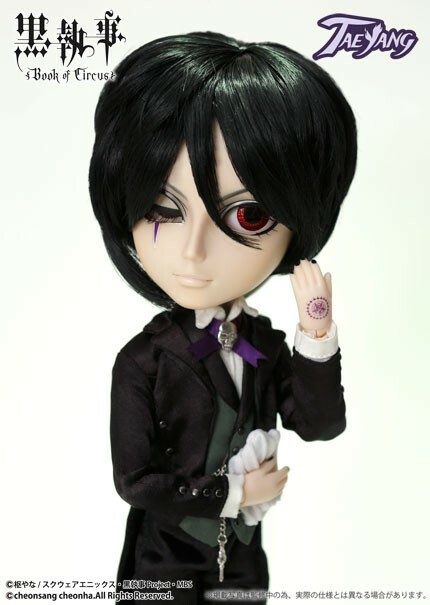 Kuroshitsuji/Black Butler is an extremely popular manga and anime series, Groove previously released a collaboration series based on characters from the series which featured Pullip as Grell Sutcliff, Dal as Ciel Phantomhive and Taeyang as Sebastian Michaelis back in 2009. 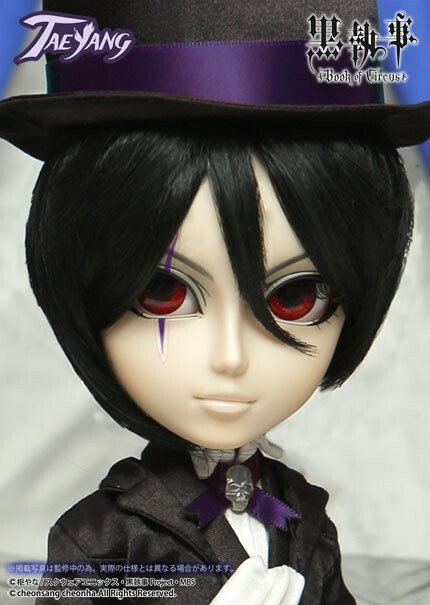 Two years Groove released the same three characters are part of the DoColla Line with Little Pullip+ as Grell Sutcliffe, Little Dal + as Ciel Phantomhive and Little Taeyang+ as Sebastian Michaelis. 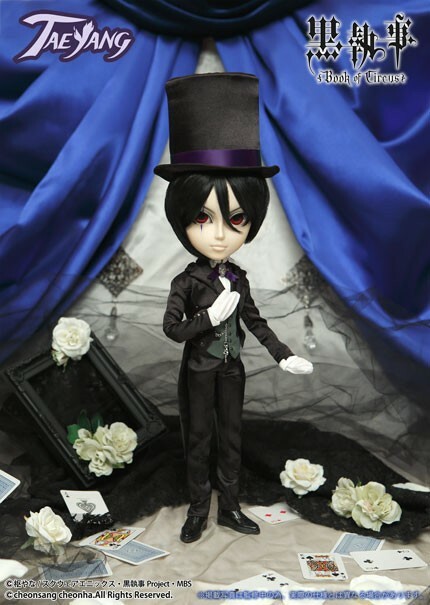 Starting in 2015, Groove started a new series based on the character designs used in Kuroshitsuji ~Book of Circus~ the manga arc/third season of the anime series. 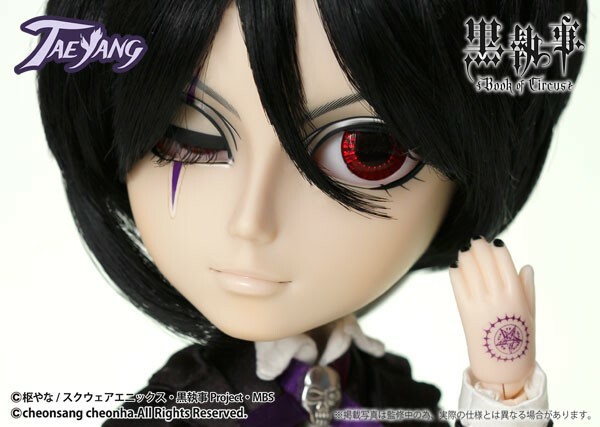 Taeyang Sebastian ~Book of Circus~ Version was the first doll released as a part of this new line in February of 2015, Isul Ciel ~Book of Circus~ Version was released in May of 2015, Taeyang Undertaker followed in December of 2015 and a Taeyang version of Grell Sutcliff of February of 2016. 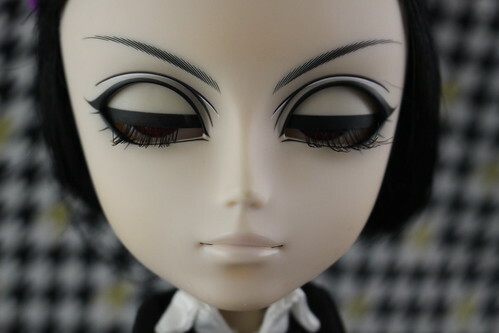 Feel Like So: I got tired to eat out catch-as-catch-can…. 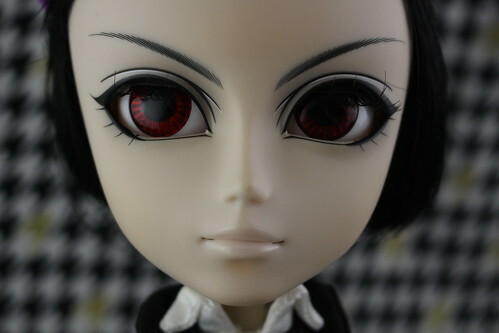 The dinner is delicious, so as to be hungry if hungry…. 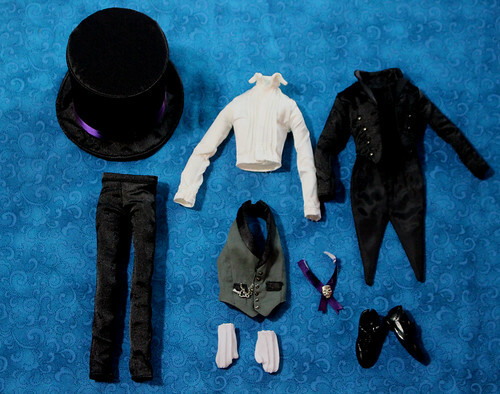 Stock: Taeyang Sebastian ~Book of Circus~ version’s stock consists of a shirt, vest, coat, glasses, top hat, gloves and shoes. 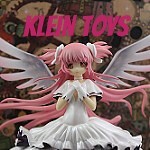 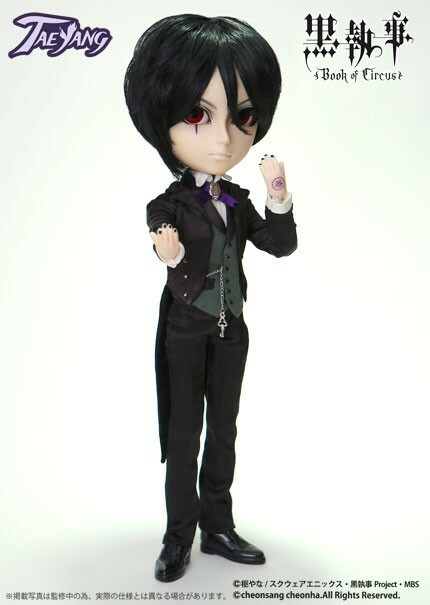 It is not pictured but he comes with a removable face sticker. 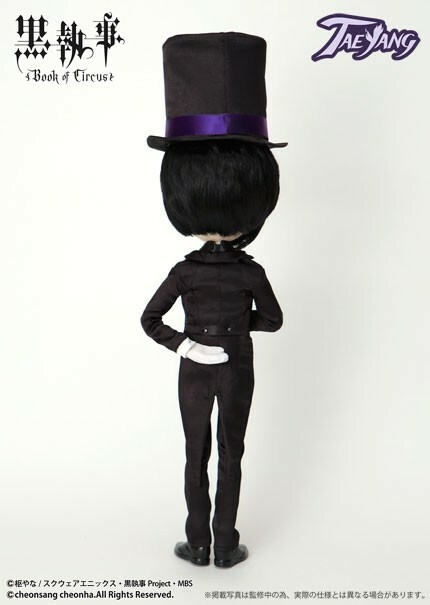 Special Notes: This is the fourth version of the character Sebastian Michealis to be released as a Groove Doll, this is the third of three full-sized dolls to be released as well as a Little Taeyang + release. 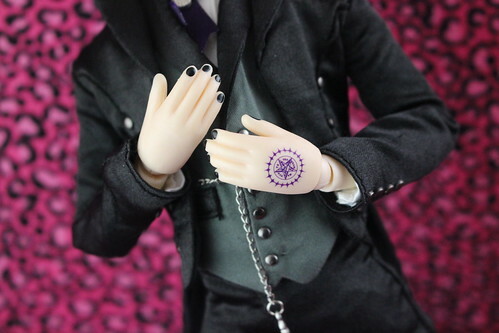 Sebastian has black finger nails and a pentagram design on one his hand. 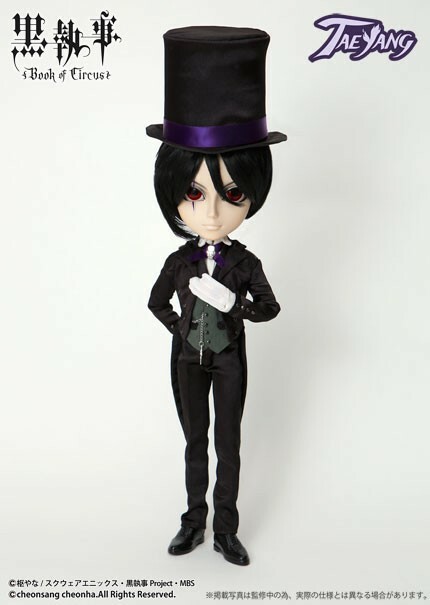 Additionally, this version of Sebastian comes with a removable face sticker. 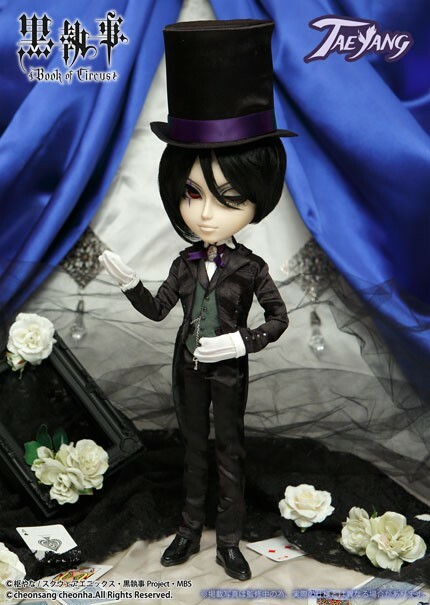 Similar Doll Recommendations: Isul Ciel ~Book of Circus~, Taeyang Grell, Taeyang Undertaker, Pullip Grell, Taeyang Sebastian, Taeyang Sebastian Private Teacher Version, Dal Ciel and Dal Ciel Robin Version.